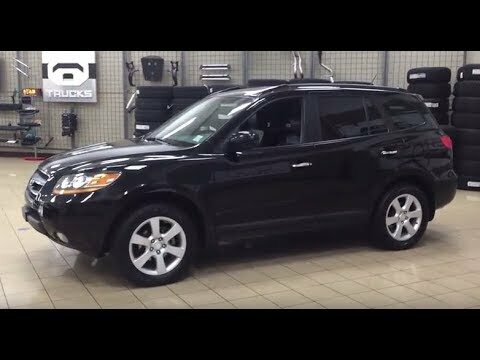 If getting the most for your money matters, the 2009 Hyundai Santa Fe might be the SUV for you. The Korean manufacturers have improved quality over the years but still have to entice buyers with good value and an excellent warranty - the Santa Fe has both. The SUV that I drive is very economical and very affordable. I very much enjoy owning this make and model of vehicle. I find these type of vehicles to be very affordable, very roomy, comfortable for any family and very dependable. Keeping up with the maintenance is not hard yet consistency is a must for any vehicle. Normal wear and tear can get expensive only if you do not take care of it as soon as possible. All my friends and family tell me that my SUV still looks very nice and very well taken care of. It runs wonderful as well. I would very highly recommend this type of vehicle to any individual looking for a great affordable comfortable dependable SUV. My favorite at this time of my life. Have not had any major problems. Routine maintenance such as brakes, tires, oil changes. It has a very smooth, comfortable ride. It always starts and all systems work. We don't have a lot of extras which is our choice. It is all wheel drive and we have found that to be very useful in our climate. Carrying ability is adequate and it has been used to help family members move some relatively large items such as sofas, bedroom furniture, etc.. Gas mileage is 23-25 highway and 19-20 in town. This vehicle is the one I have liked the best since my 65 Mustang. It is a great family car and car for trips. There are a few things I love about my car. First it is great on gas, it shows you how many miles you have until you are near empty. Also the eco gas is great for long trips. The truck has such great space and then the hidden department to hold your personal items without people seeing them is great. The dual heating and air in the front is wonderful. You can set your side to what you like and do not have to freeze the other person.